One of my favourite Pixar movies is Up, a beautiful animated film with heart and comedy. The story is centred around a 78-year-old widower, who along with an unlikely child companion, sets out to fulfill his lifelong dream of visiting the mystical Paradise Falls. Their choice of transportation? A colourful house lifted by a bunch of helium balloons, obviously. 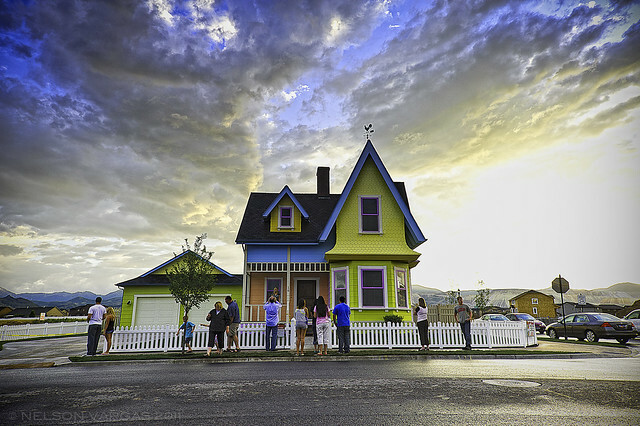 Now, the same whimsical house has been brought to life in Utah. 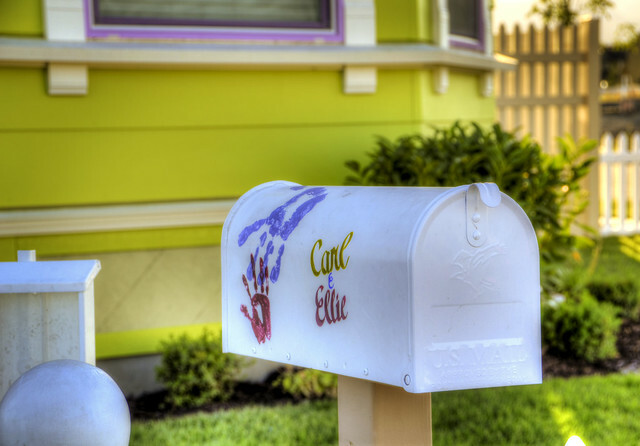 Very impressively, the builders and designers have taken care to include various details from the movie, such as the mailbox, framed photographs of Carl and Ellie hanging on the walls and that glass jar with “Paradise Falls” written on it. This, along with the Harry Potter theme park, would be one great addition to any movie buff’s list of film-inspired places to visit. When completed, the 2,800 square foot house will be sold for a cool $400,000, which amazingly is still cheaper than the average public housing (3-bedroom apartment) in Singapore. Personally, I would love to see it remain as a mini museum that pays tribute to a brilliant film. Take this video tour to see the furniture and furnishings inside the Up house. 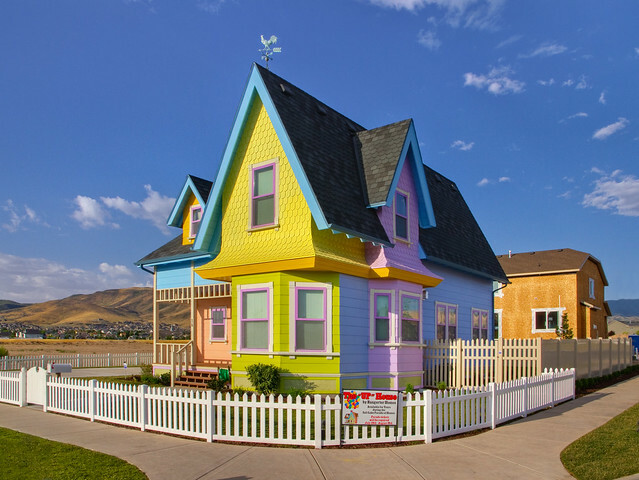 This isn’t the first time the colourful house has been built in real life. National Geographic successfully launched a lovely replica up into the air with a cluster of 300 weather balloons! It flew for an hour, reaching an altitude of over 10,000 feet. This is filmed for the network’s new series called How Hard Can it Be?. Check out these photographs to see how they achieved this incredible feat. The people in the floating house are the balloon pilots. They managed to launch and land it! MooMoo, I saw your avatar of a glass jar. For a brief moment I thought it’s the glass jar from Up! OMG, this is so cool! I wanna live in that house!! Hahaha! Thanks for sharing about this Veron. I love the movie “Up” and it certainly heartens me to see that there are real life examples of this in Utah and the flying house! It would be a fulfillment of one’s childhood fantasy to have a flying house. Nice Pictures! I find some of the pictures here quite nostalgic. Aren’t they?